To be or not to be a Wizard World Fan? Everyone has an opinion about certain Comic Conventions. 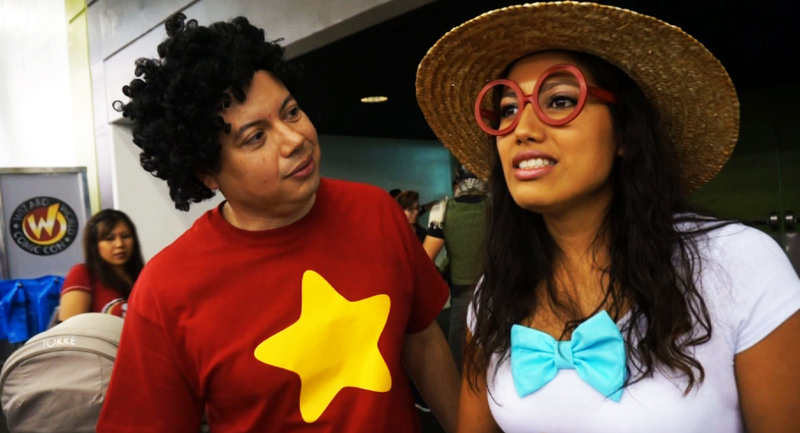 Now, “Was Wizard World great or not great?” So we had to ask a couple of our local Comic Convention goers in the Bay Area, Diana and Alejandro. Though they mentioned nothing spectacular on a scale of one through ten, I would have to say they sounded pretty happy to be there, and they reinforced what comic conventions are all about: Attending a panel and learning interesting factors about writing comics from Michael Golden, Meeting friends, and best of all – Cosplaying! The video speaks for itself.